Jawcase is a new startup with a very unique aluminum case like no other. 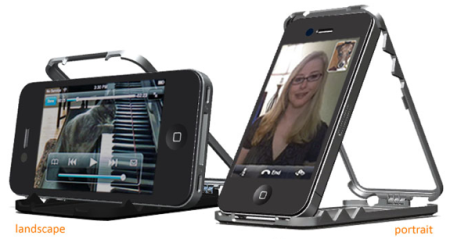 The Tiburon is a fresh twist on CNC aluminum iPhone 4 cases that can act as a tripod and a stand when it's unique jaw design that opens up to allow the iPhone 4 to be used in both landscape and portrait orientations. The Jawcase doesn't use any screws like traditional aluminum cases and instead, magnets located at the bottom apply 2lb of pressure keep the case closed with the additional help of the pre-tensioned spring hinge mechanism that constantly applies downforce pressure. 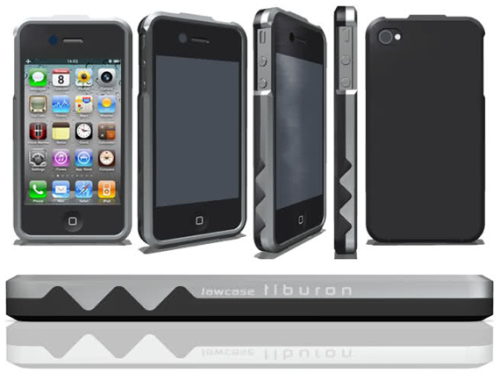 Jawcase is currently on Kickstarter where you can pre-order a Tiburon aluminum case for the iPhone 4 in an all aluminum version or in a hybrid version consisting of aluminum and delrin for $80.